Q.2. 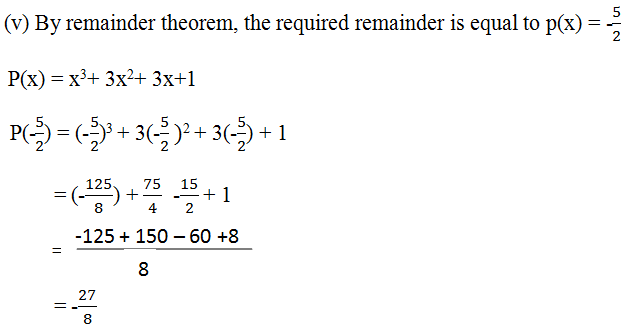 find the remainder when x3- ax2 + 6x - a is divided by x- a. Solution: Let P(x) = x3- ax2+ 6x- a . P(x) = a.
Q3. 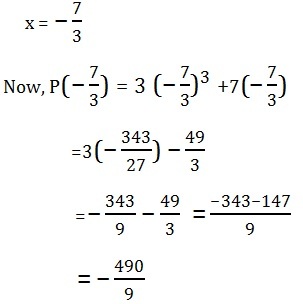 Check whether 7 + 3x is a factor of 3x3 + 7x. Therefore, 7 + 3x is not a factor of P(x).